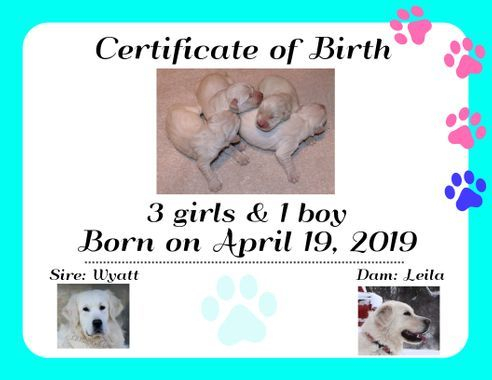 Summit is one of Leila and Wyatt's puppies from their September 2018 litter. He has only been in his new home for just a few short weeks but has mastered so much already thanks to his great new mom, Payton. Payton is training Summit to be a Celiac Detection and Therapy Dog. 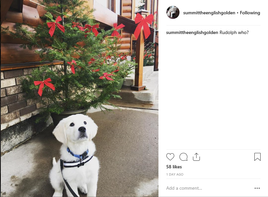 You can follow Summit and Payton's journey on Instagram by searching for SummitTheEnglishGolden! Ready end of May and mid June! 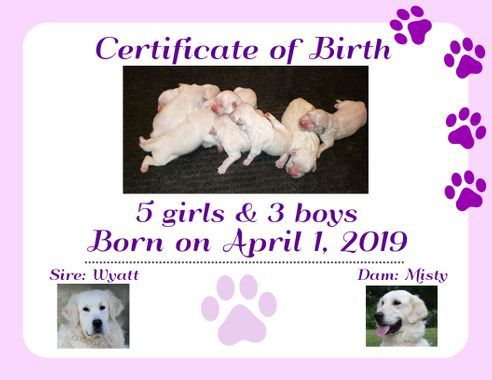 See Current Litters Pages for more info! 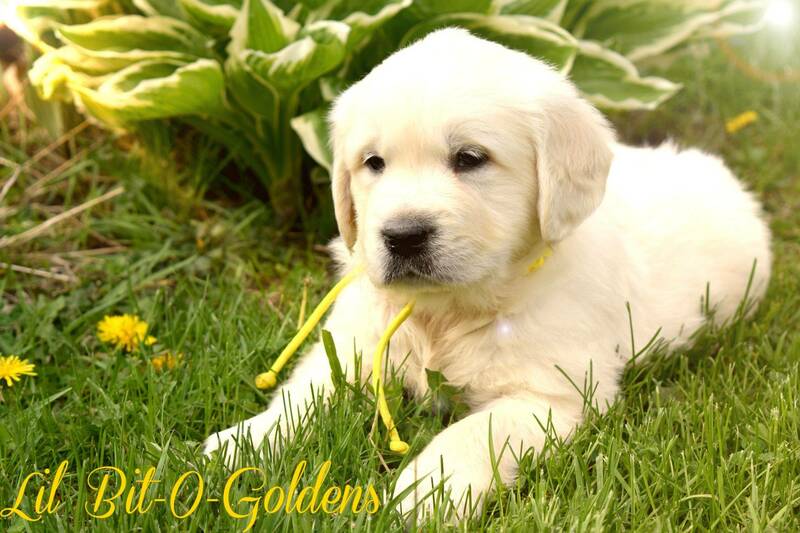 Lil Bit-O-Goldens started over 30 years ago when I bought my husband our very first Golden Retriever as a Christmas present. My husband had always wanted a Golden Retriever, while I preferred Collie's. After having a Golden, nothing else has quite compared. 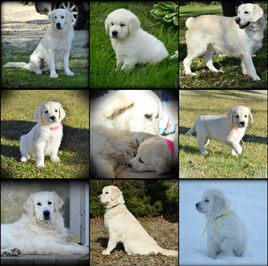 I became a hobby breeder of the American Golden Retriever's until about 17 years ago when I discovered the English Golden Retriever. After searching and learning more about the English Golden's, I finally decided to purchase one. After being on a waiting list for almost 3 years, I finally got my very first English Golden from The Netherlands. I never thought that you could ask for a better dog then the American Golden's, until I received my English girl. 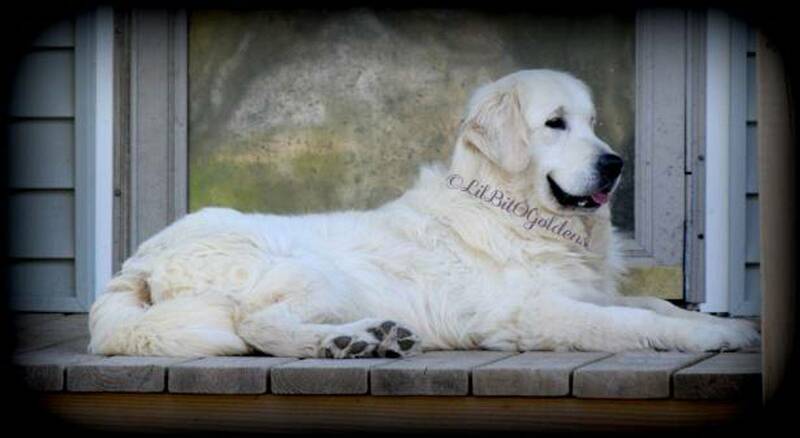 Since then I have switched my focus to raising the English type Goldens. My main goal is to raise healthy, good tempered, family pets with the potential to be excellent show and/or breeding dogs. All puppies are born in my home and are handled daily from the time they are born to the time they go to their new homes. I have several grandchildren who come around frequently (more so when we have puppies, and here I thought they came to visit me!) that love to play with and help socialize our puppies. I have been a board member of Wisconsin Vest-A-Dog since it was founded in 2005. Vest-A-Dog is a non-profit (tax deductible) organization that raises money to buy bullet proof vest for K9 Officers. Vest-A-Dog has helped vest over 180+ dogs in Wisconsin, with many more still in need of these vest that help save their lives.